GM Throstur Thorhallsson was crowned the Icelandic Champion in chess after beating IM Bragi Thorfinnsson in an extraordinarily close and exciting match. 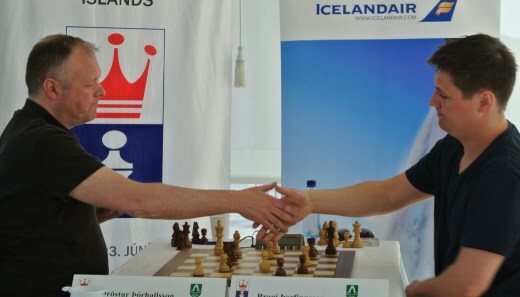 Thorhallsson and Thorfinnsson were joint winners of the Icelandic Chess Champion in April this year, the strongest Icelandic Championship so far during this century. They first played a four-game match, which ended 2-2 (one victory each and two draws) last Monday. Employing similar system and playing out the games during the same day as Anand and Gelfand did in their World Champion match, Thorhallsson eventually emerged as the winner, just like his Indian friend and contemporary. Thorhallsson and Thorfinsson first played two active games (25+10), which both ended with a draw. They then played two more games with less time (10+10), where Thorhallsson won the first game, but Thorfinnsson the second, curiously both with the black pieces. They then played two blitz games (5+3), where Thorfinnsson won the first one, but Thorhallsson the second, thus equalizing the match. Finally, in an Armageddon game Thorhallsson, with the black pieces (and therefore less time as well) actually won the game (although only needing a draw) and therefore the match 6-5. 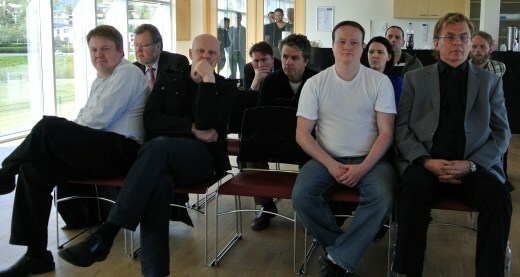 The 2012 Icelandic Chess Championship was the most memorable in a long time. Both players received a big round of applause from the enthusiastic audience, even before the Armageddon game. Analysts universally praised their play, despite the demanding time limits. 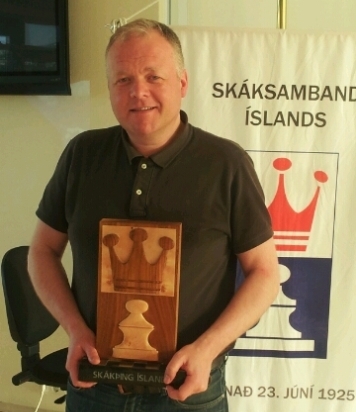 Although Thorhallsson has been a fixture of Icelandic chess life for almost 30 years, this is in fact the first time he has captured the national champion title. He first took part in the event in 1985. As a result of his victory, Thorhallsson will automatically qualify as a member of the Icelandic Chess Olympiad team in Istanbul this autumn and as Iceland’s representative at the European Individual Championship in Poland in April next year.